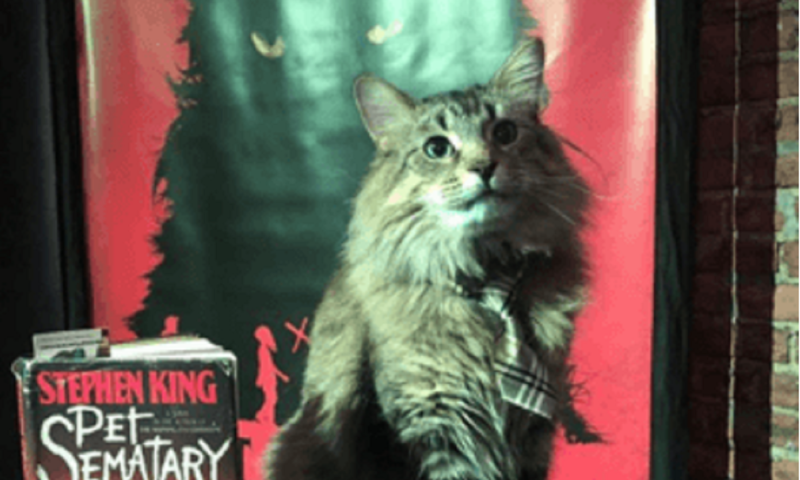 Pet Sematary is probably Stephen King’s most notorious novel, famed for its dark and disturbing subject matter—especially child death— and its power to scare. The 1989 film, scripted by King and directed by Mary Lambert, was fairly trashy but undeniably effective. Do we need another one? Probably not, although King’s renewed popularity explains why a studio would go ahead with one. The new version, directed by Kevin Kolsch and Dennis Widmyer (who made the unnerving, pitch black Hollywood satire Starry Eyes), is intriguing both for that duo and for the intriguing choice to make 10 year old Ellie (an impressive Jete Laurence) the kid who dies rather than toddler Gage. The setup is the same: the Creed family moves from Boston to rural Maine, with a busy highway looming just off their property. Kindly old neighbor Jud (John Lithgow) befriends the clan, and when Ellie’s beloved cat gets run over, he shows dad Louis (Jason Clarke) a secret burial ground with the power to bring it back to life. “Church” (played by five different cats) comes back wrong, and yet that isn’t enough to stop Louis from bringing Ellie there when tragedy strikes. Meanwhile, mom Rachel (Amy Seimetz) is haunted by the memories of her dreaded, bedridden sister—a trauma soon weaponized against her. Pet Sematary has a solid cast. Clarke is dependable as always, and acts rings around the original’s hunky but dull Dale Midkiff. Seimetz is equally strong as Rachel, but the movie belongs to Laurence. The preternaturally talented actress is equally vivid as the sweet, precocious “good” daughter and the sinister abomination she comes back as (the effect is aided by some outstanding makeup and a perfectly twisted use of “Dance of the Sugar Plum Fairies”). The biggest disappointment here, oddly, is Lithgow. He’s solid, but his Jud just can’t hold a candle to the lovable, folksy, and compellingly haunted man Fred Gwynne played in the 1989 movie. The script may be partially to blame. Matt Greenberg and Jeff Buhler make plenty of good contributions—the masked funeral procession that opens the picture, a twisted set piece involving a dumb waiter, and the switch to Ellie among them. But they skimp on characterization. In the novel, Louis remarks that Jud should have been his father, but that bond doesn’t quite come off here. The family shares some thoughtful scenes, like their debate over how to explain death to their daughter; but the aftermath of Ellie’s death is glossed over far too quickly. We know that a resurrection is coming, of course—even those unfamiliar with the source material will be able to see the writing on the wall when Church transforms from cuddly to malevolent. But the overwhelming experience of grief is what fuels that development, and that needs to be conveyed in more detail. The other sticking point for me is the ending. I won’t get into detail for obvious reasons, but I had difficulty reconciling myself with how thoroughly it deviates from the novel. 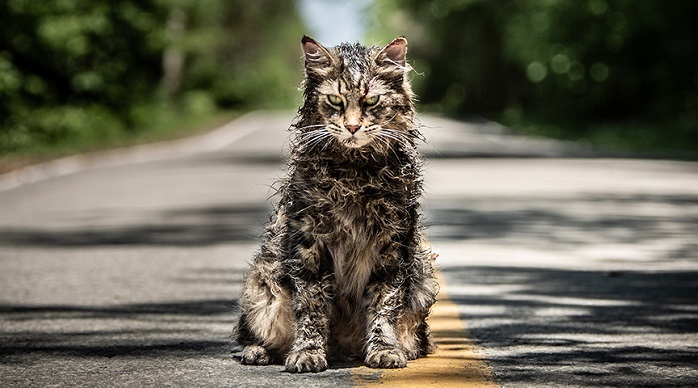 Still, Pet Sematary has much to recommend it: vivid visuals (in spite of some dodgy CGI); unforgettable performances from Laurence and the cats (including breakout viral star Tonic as the “good” Church); an appropriately sweeping score by legendary composer Christopher Young (Hellraiser, A Nightmare on Elm Street 2); and some fun Easter eggs for fans. 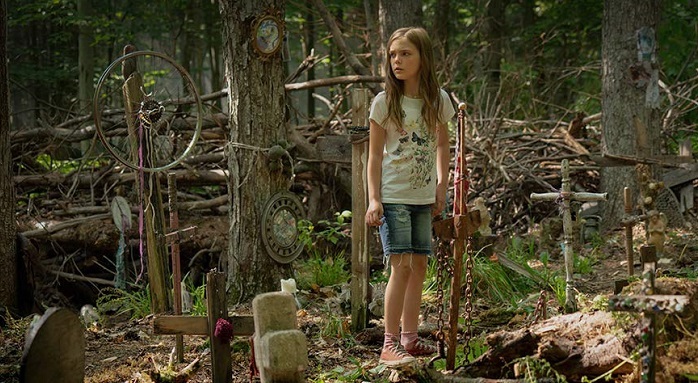 But perhaps Pet Sematary should have stayed buried. Next PostNext The Geeks OUT Podcast: Finding Your Family w/ Shazam!